If a mother has breast cancer, everyone in the family is affected. If she is recovering from surgery or undergoing treatment, she may be unable to help her family. Jobs such as laundry, cooking, and cleaning may not get done, or they may not be done as well. A single mother may have no one to get the kids off to school when she has treatment. Children may have no one to help them with homework or drive them to soccer practice. There may be less money to pay bills if the mother can't go to work. Everyone in the family usually worries about the mother and wonders if she'll get better. Family members may be angry that their life has been upset. Children may believe they caused their mother's illness and feel guilty. They may feel neglected if their father must spend time caring for their mother. Feelings of worry, fear, anger, and guilt can create tension in the family and add to the family's problems. These feelings may cause family members to yell at each other and argue. Having a mother with breast cancer can be especially hard on teens. Teens are at the age when they want to be more independent. Just at the time they're trying to separate themselves from home, their mother's breast cancer pulls them back in. They may have to take on more responsibilities at home. For example, they may have to help with housework or care for younger brothers and sisters. This leaves less time for friends and other activities and interests. If you're a teen whose mother has breast cancer, you and your family may be in turmoil. Following are suggestions for how to cope as a family and as an individual. "When I found out my mom had breast cancer, felt betrayed. Moms aren't supposed to get sick!" Have family meetings. Talk with each other about your feelings and concerns. Talk about what needs to be done and assign responsibilities. Keep as normal a routine as possible. Have meals at regular times, do chores as usual, go to school and work, and have a set bedtime. Living and dealing with breast cancer can make you feel lost and uncertain. Having a routine gives you something to depend on. Ask for help. Relatives, neighbors, and friends often want to help but may not know how. Ask for specific things you need, such as help with grocery shopping, laundry, child care, or rides to appointments. Take breaks and have some fun. You will feel refreshed and better able to handle responsibilities. 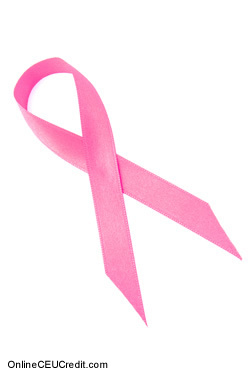 Learn all you can about breast cancer. Knowing the facts can help you understand your mother's diagnosis and treatment. A great deal of information on breast cancer is available. The information at the back of this book contains many helpful resources. Join a support group. Support groups for families dealing with cancer are available in many communities. Some are specifically for teens and children. Members of a support group share information and give each other ideas on ways to cope. You may not feel so alone when you see other families dealing with similar worries and fears. Let out your feelings by talking with someone who understands. Talk with an adult family member, a school counselor, nurse, or spiritual advisor. There may be another teen in your school with a very sick parent. You might talk with this person, too. If you feel yourself becoming angry, take a time-out and cool down. Go for a walk, listen to music, or scream into a pillow. Try not to lash out at family members. Control your mood swings by putting your feelings into words. Write in a journal, talk into a tape recorder, or write a poem. Ask your parents to tell you what's happening. Tell them that not knowing makes you more scared than knowing. Remember that it's all right to cry. Find a safe time and place to let out your emotions. A woman with breast cancer may become depressed, irritable, and impatient. Her family may get upset and angry because she's not acting like herself. Knowing about breast cancer's effects can hell family members be more understanding. Physically, a woman with breast cancer may be coping with fatigue and pain. Her cancer treatment may make her feel lousy or even violently ill. Most people have difficulty being upbeat and pleasant under such circumstances. Breast cancer has a great impact on a woman's emotions. For the first time, the woman may face the real possibility of dying. If she has lost a breast, she may feel less attractive. Hair loss, arm swelling, and weight loss or gain also can make her feel bad about herself. She may feel guilty because she's not able to help her family. Decorate her room. Hospital rooms can seem cold and unfriendly. You can make your mother's surroundings more cheerful with family photos, plants and flowers, and homemade cards and banners. Involve her in your life. When you visit, tell her about school and your friends. Show her your homework and ask for her help if she's up to it. Ask for her advice on any problems you may be having at school or home. Help her pass the time. If she's feeling up to it, you can play a board game or talk about family history. Help her write thank-you notes. Bring books, magazines, and music that she might enjoy. Some teen girls whose mother has breast cancer worry that their mother has passed cancer along to them. These teens and their mother share a genetic heritage. This means they may be at risk for developing cancer. It doesn't mean they automatically will get cancer. It's important for these teens to follow guidelines for early detection. Anticipate her needs. Bring her snacks, a glass of water, or the newspaper. Adjust her pillow and blankets. Make sure she's not too warm or too cold. Be considerate. Keep the volume on the TV or radio low. Ask before you invite friends over. Let her know when you're going out and when you'll be back. Keep your house or apartment picked up (at least the part your mother can see). Sometimes, people feel more at ease when the home is clean and tidy. Volunteer to run errands or take care of younger brothers and sisters. Talk with your mother. Tell your mother how you're feeling. Let her express her feelings as well. Don't avoid your mother or shut yourself off from her. Sometimes, even though she may get the best medical treatment, woman may lose her battle against breast cancer. She may become too ill for the family to care for on their own. Nurses may come the home to help the family. The mother may have to go to a hospital, nursing home, or hospice. A hospice is a special place that cares for dying people. If your mother is dying of breast cancer, her appearance and personality may change. She may moan or make unusual sounds and movements. There may be a strange smell. Despite these changes, your mother is the same person inside her body. She's the same woman who loves you. Let your mother know you love her. You may feel a sense of relief at your mother's death because you know her suffering has ended. You also will feel a great deal of pain and sadness. Remember that life will continue, and someday you will feel happy again. Your pain will lessen, but your love for your mother will remain. - Peacock, Judith; If your mother has breast cancer; Breast Cancer; 2002. The preceding section contained information about teens coping with parental breast cancer. Write three case study examples regarding how you might use the content of this section in your practice.